Thank you Blue Diamond Nut Thins for sponsoring this post! 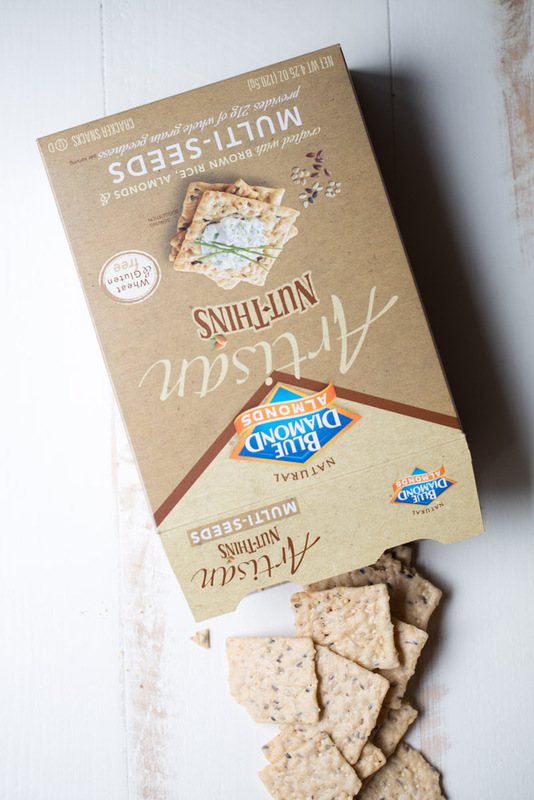 Who’s ready to dip some delicious Blue Diamond Artisan Nut Thins into some delicious dips? Blue Diamond Artisan Nut Thins are my most favorite crackers ever. They’re crispy, crunchy, full of flavor and to top it all off, they’re gluten free! 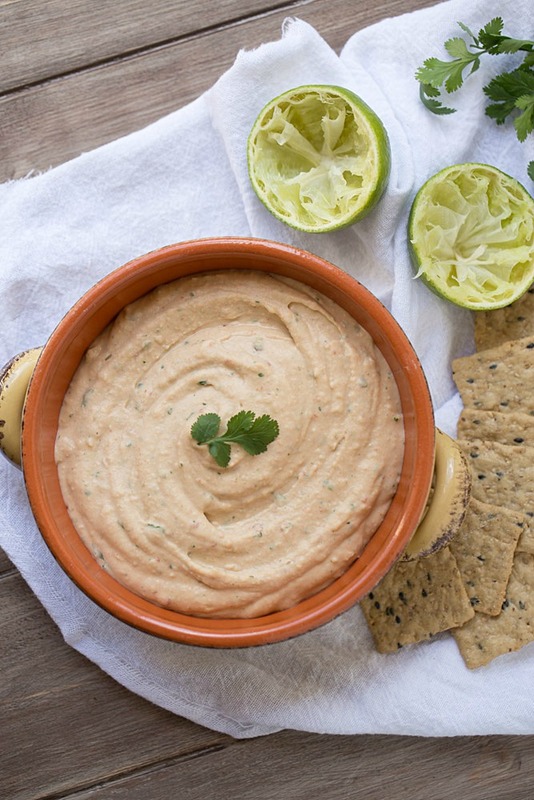 They are my go-to cracker for enjoying with party dips, hummus, cheese and peanut butter. They often make it into my lunch box during the week so healthy snacking is easily accessible. A few weeks ago, I received 2 boxes of Artisan Nut Thins, courtesy of Blue Diamond. I’ll admit, I went through both boxes before I was even able to create this post so I ended up purchasing 3 more boxes of these crunchy little crackers. Does that give you an idea of how much I love them? 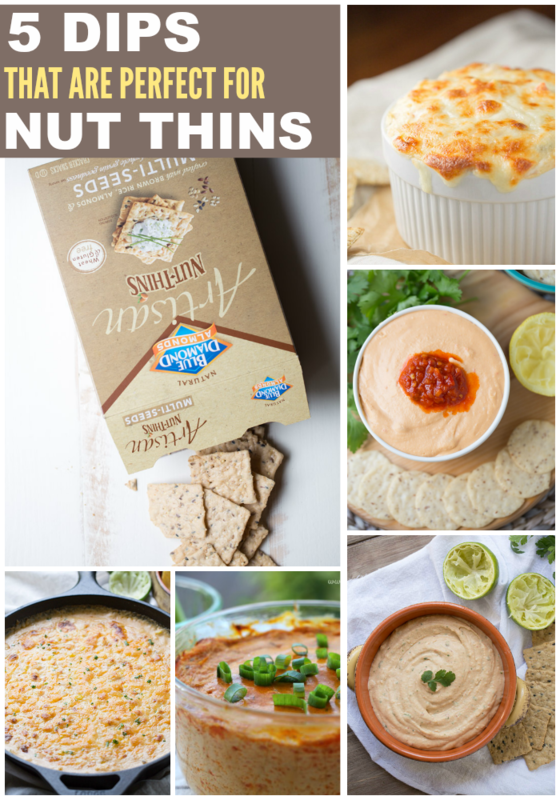 Today, in honor of the Nut Thins, I decided to put together a little collection of dips that are perfect for Nut Thin dipping. In addition to dipping Artisan Nut Thins in your favorite dip, consider using them in place of tortilla chips in your favorite nacho recipe! Because we all want to include more of these in our lives, right? 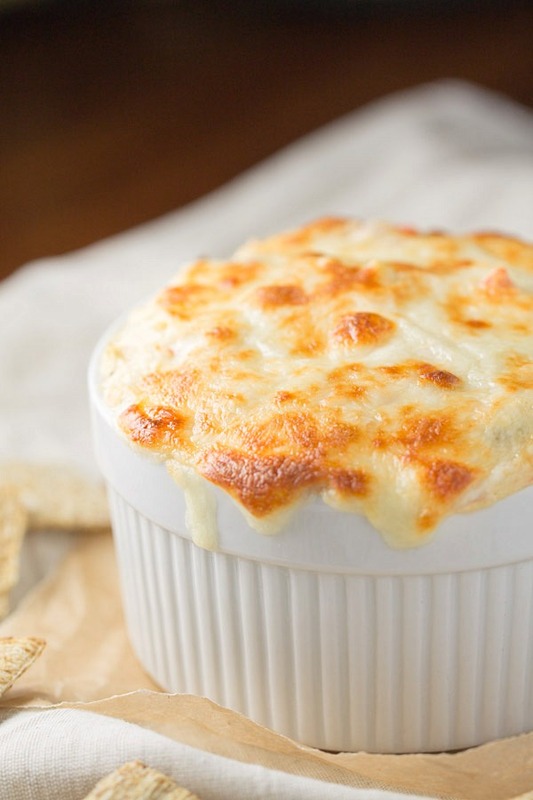 Hot Seafood Artichoke Dip. 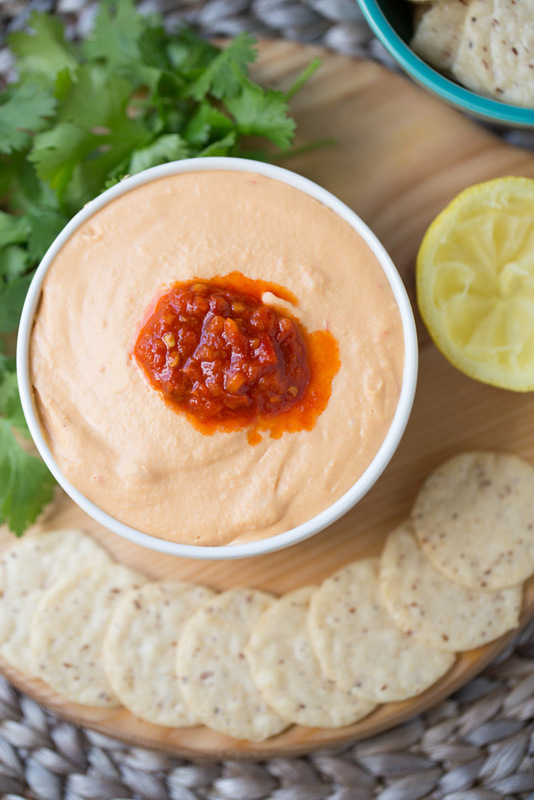 Get your seafood on…with Nut Thins and this dip! This creamy dip is perfect for parties, get togethers and for the hot seafood-y dip lovers. 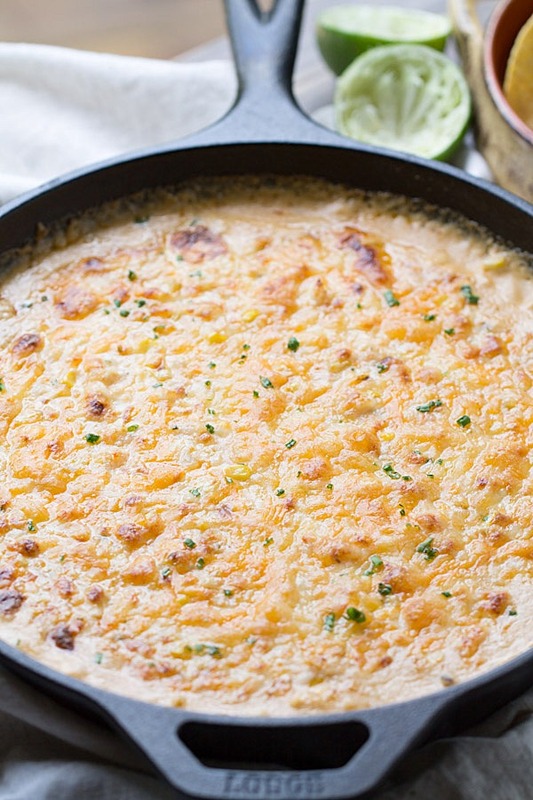 Cheesy Chipotle Shrimp and Corn Dip. This is the ultimate cheesy seafood dip. The flavors are out of this world. Your Nut Thins called. They want you to make this dip for them. Buffalo Chicken Dip. It’s no secret that people who love chicken love buffalo chicken. 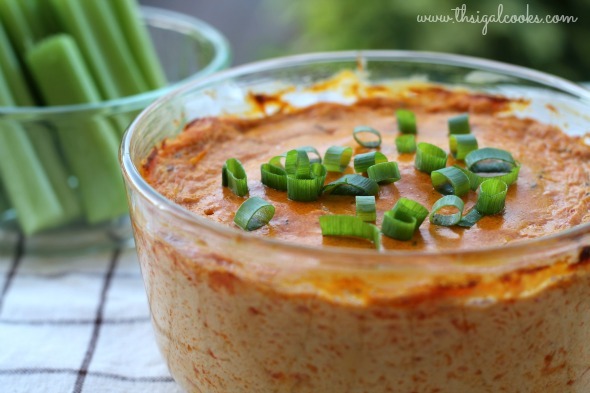 Buffalo chicken dip is a great party appetizer option for those who love the flavors of buffalo chicken. Grab a Nut Thin, dip away at this buffalo chicken goodness. This post was sponsored and compensated for by Blue Diamond Almonds. All opinions, photos and recipe are my own. These dips look awesome! Love Blue Diamond Nut Thins! Need to try the chipotle shrimp and corn dip. I have got to try these crackers. They look amazing plus I’m such a dip lover! All of these dips look amazing! Can’t wait to try the shrimp corn dip with these crackers! Looking delicious! Need to take a try at my home! Oh my! Can’t wait to try this one and use it with other recipe! Your Cheesy Chipotle Shrimp and Corn Dip is gorgeous, I even love all your photos, they’r all mouth-watering to look at! Suddenly I feel the urge to go to the store to buy crackers! Great variety of dips. Thanks! I love Blue Diamond Artisan Nut Thins! I eat them almost every day with a little fat free cream cheese and lox. It helps to cure my urge to eat a giant everything bagel with cream cheese an lox. The cream cheese and lox with the Nut Thins sounds wonderful, Jen. What a great afternoon snack!